Is it going to be practical and will it add value to your home? Don't be afraid to get your tape measure out before calling us. From here, we can help you develop your own ideas. A practical deck is anywhere from about 15m2 upwards which is a suitable space for a table, chairs and BBQ. An average deck is approximately 30m2. It may be frustrating to find that your dream deck is not within a realistic price range. We can work with you to achieve a solution that fits your budget and leaves you with a finish product that is both practical and aesthetically pleasing. Use your tape measure to plan the deck you would like and measure its height off the ground. Sometimes we are able to give you a fairly accurate quote over the phone using this information. 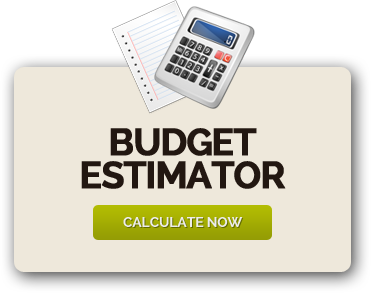 This way you’ll have a rough idea on whether your proposed deck plan is going to be within your budget or not. Naturally, prices do vary greatly from project to project depending on height, size, shape, materials, site access etc. We try to give as much information over the phone as possible. Is this a short term fix to a long term plan? How much will you use it and for how long? At Qld Deck Co. we use only the best materials available. 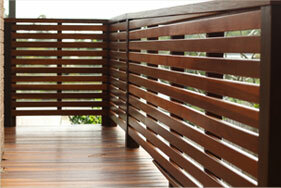 Our decks are mostly constructed of treated hardwood and select grade Australian species decking. We only pilot drill and hand-nail our decking boards down and we do not use nail guns. We ensure that all of our decks are of the highest quality. You can get some great ideas by looking at lots of photos and we have plenty available on our website. You can combine the balustrade from one deck with the roof of another deck to create the perfect solution for your project. If you have some ideas, mention these over the phone so that we can investigate some costs for you before we meet with you. The process of obtaining a written quote, drafting plans for certification followed by the certification process can take anywhere from a couple of weeks to a couple of months (worst case scenario). Certification can sometimes be a long process due to reasons beyond our control. If you are looking at getting a deck done before Christmas, it's best to call a few months earlier as most people are booked in by August / September for their pre-Christmas projects. We would love to invest some of our time into you and your project. We would like you to understand that quoting is often a long process. The time it takes to meet on site and prepare a quote can accumulate to over half a day's work. We thank you in advance for taking the time to read over this information before contacting us.